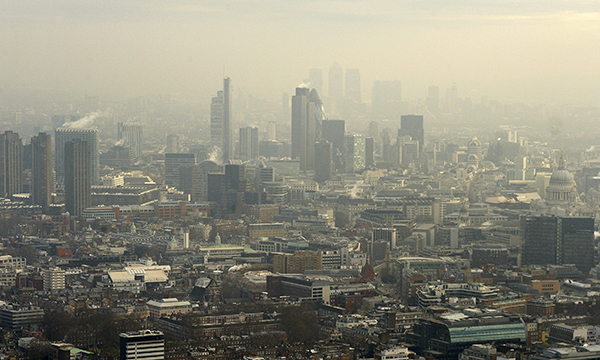 London has one of the highest levels of air pollution in the country. The RCN has called for nursing staff and their patients to be protected from harmful levels of toxic pollution. RCN London made the comments in response to a report from the British Lung Foundation (BLF), which warns that more than 2,000 NHS hospitals, clinics and GP surgeries in Great Britain are in areas which breach safe air pollution limits. The BLF analysed the postcodes of 9,988 NHS health centres, and found that more than a fifth are in locations where the average level of fine particulate matter, known as PM2.5, is above the limit recommended by the World Health Organisation (WHO). Its report, Toxic Air at the Door of the NHS, found that in England one in three GP practices, and one in four hospitals, are located in areas with unsafe levels of air pollution. The report urges that ‘no patient, doctor, nurse or GP should be exposed to such a preventable cause of ill health and early death’, and highlights that London trusts are located in some of the most polluted areas in the country. RCN London regional director Jude Diggins said: ‘The level of pollution in London is a public health emergency, and treating it as anything than less so is complacent and dangerous. Ms Diggins added that the college wanted the Mayor of London to extend the Ultra-Low Emission Zone beyond central London, and called for greater government investment in monitoring air quality in places where hospitals are located. A spokesperson for the Department for Environment, Food and Rural Affairs said the government was taking action through a £3.5 billion plan to reduce harmful emissions, as well as a clean air strategy that aims to reduce air pollution.